Thursday 7th. February PEACE FIRE At 7pm please join us in your homes light a Candle and Pray for Peace round the World. With the onset of winter and the unsettled weather conditions our outdoor Peace Ceremony will be postponed until the International Day of Peace Ceremony 21st. September. 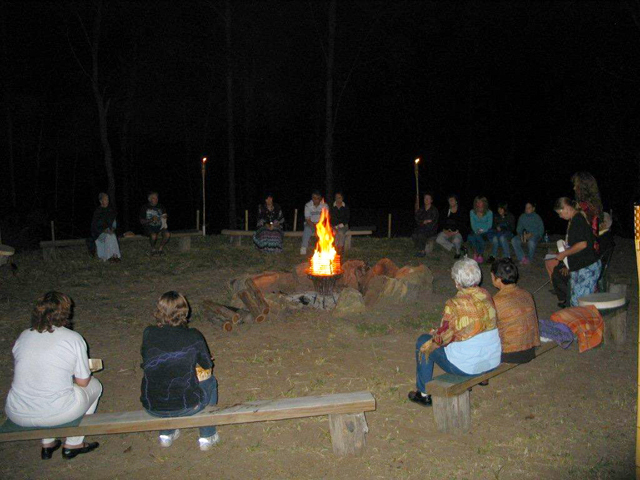 The Peace Fire Ceremonies are an old Native American tradition, with the first Australian Peace Fires being started in Queensland several years ago in Tuchekoi, near Gympie. Ashes from the fire in Tuchekoi were brought to the Lyell Deer Farm by Toki McDonald in 2005 and the Peace Fire has been lit every month since. The Peace Fire Ceremony is to honour world-wide peace and is commemorated on the 7th day of each month at 7pm, and is performed across all continents. There are approximately eighty fires around the world, with twenty two here in Australia (ours at Mount Samson makes twenty three as far as we know). Another one has since been started in New Zealand. The Peace Fires start in Australia and are lit at 7pm, following the time-line around the world to end up in Hawaii twenty two hours later. Consequently as the earth rotates there is a constant stream of thoughts and dedication rising from the traditionally constructed fires, with prayers of peace for our loved ones, and prayers for peace around the World. The fires are built in a square with thirty two pieces of wood. Eight in each of four piles, crossing over each neighboring pile in layers. These sticks represent the eight Sacred Directions; Within, Without, Above, Below, East, South, West and North. We meditate as the fire burns down, following which our Talking Stick is passed around for participants to share their thoughts and visions if they wish. 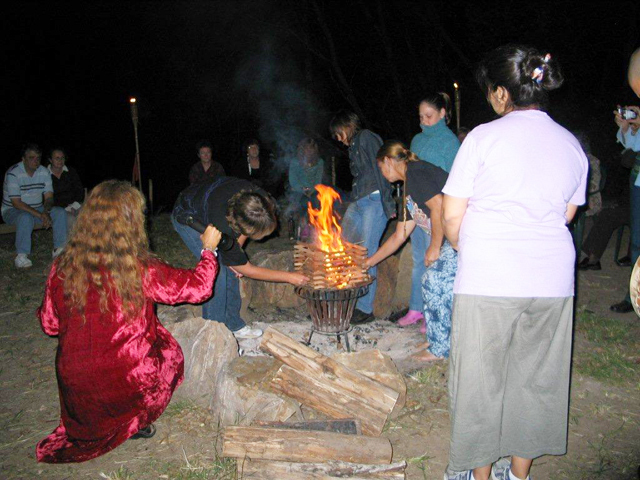 To honour our land and the Ancestral Spirits, on 7th May 2005 we dedicated our Peace Fire to Truganini, one of the last Aboriginal survivors in Tasmania. All are welcome to come and join us each month. There is no charge to attend the Peace Fire ceremony.